Block Karine Mon coin lecture? This will prevent Karine from sending you messages, friend request or from viewing your profile. They will not be notified. Comments on discussion boards from them will be hidden by default. 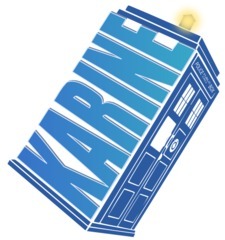 Sign in to Goodreads to learn more about Karine. We’d love your help. Let us know what’s wrong with this preview of Le fabricant de poupées de Cracovie by R. M. Romero. We’d love your help. Let us know what’s wrong with this preview of L'Intérêt de l'enfant by Ian McEwan. Non mais c'est magnifiquement écrit... et j'adore le côté "réalisme magique" Je l'ai lu 2 fois d'affilée! Belle découverte! Je pense qu'il m'a manqué un petit quelque chose pour faire tous les liens nécessaires... j'aurais besoin d'en jaser, je pense! Karine Mon coin lecture has read 60 of 100 books. Karine Mon coin lecture read 231 books of her goal of 150! Karine Mon coin lecture read 230 books of her goal of 175! Karine Mon coin lecture read 154 books of her goal of 100! Karine Mon coin lecture read 274 books of her goal of 240! Karine Mon coin lecture read 226 books of her goal of 175! Karine Mon coin lecture read 138 books of her goal of 125! Karine Mon coin lecture read 208 books of her goal of 175! Take a look at Karine’s Year in Books. The good, the bad, the long, the short—it’s all here.